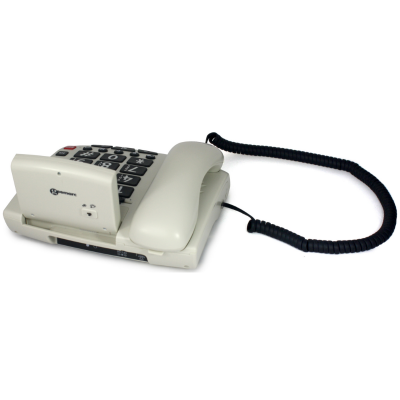 It's paramount that the elderly and hard of hearing can continue to comfortably use the telephone – it's an important lifeline to the outside world – as well as being able to comfortable live in their own home, knowing that they can get the help they need as quickly as possible in case of an emergency. 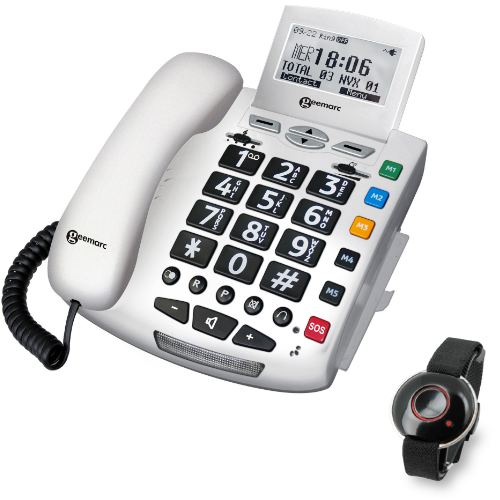 A great phone for the elderly, the Geemarc Serenities Amplified Telephone with Emergency Response Wristband makes both phone communication and independent living easier. 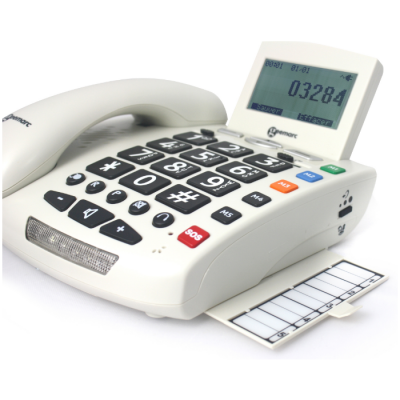 The Serenities telephone gives an amplified receiver volume up to 30dB, making it great for hard of hearing individuals with mild to moderate hearing loss. This amplification makes phone conversations louder and easier to hear for simple communication. As well as providing louder sound, the Serenities Telephone also features a four-level adjustable receiving tone control, enabling individuals to cater their telephone's audio to their specific type of hearing loss, making conversations clearer as well as louder. 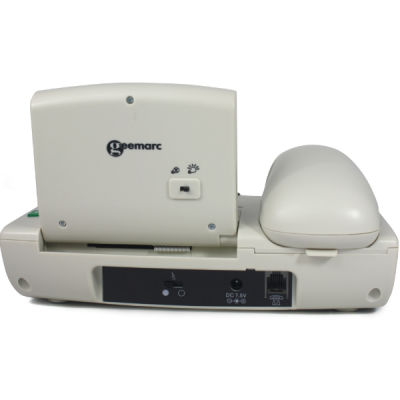 The included emergency response transmitter is designed to make it easier for the elderly to get help and assistance in case of an emergency. When activated, the transmitter will automatically dial five phone numbers (using the Serenities telephone) to alert friends and family that you need help. With a range of approximately 20 - 30 metres, you can be sure that during an emergency help is never too far away. The transmitter and phone come paired, so there's no need to mess about with syncing or connecting them – they're ready to go right out of the box.